Welcome to McDowell High School, Home of the Titans! 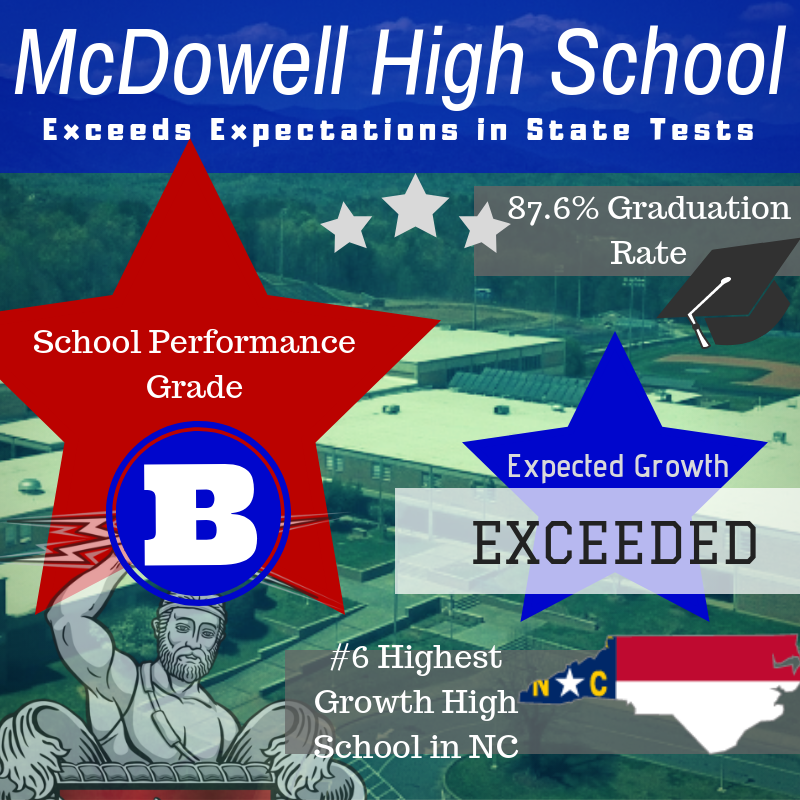 In recently released NC State School Performance Results, McDowell High School was listed in the top 6 high schools for exceeding growth expectations. Superintendent Mr. Mark Garrett stated, "One of the more impressive things a few years ago McDowell High School was way in the negative for growth, and this year almost eight points positive in growth, so that is good progress we continue to see there.” MHS received a performance grade of a B, up from previous years and our graduation rate was 87.6%.